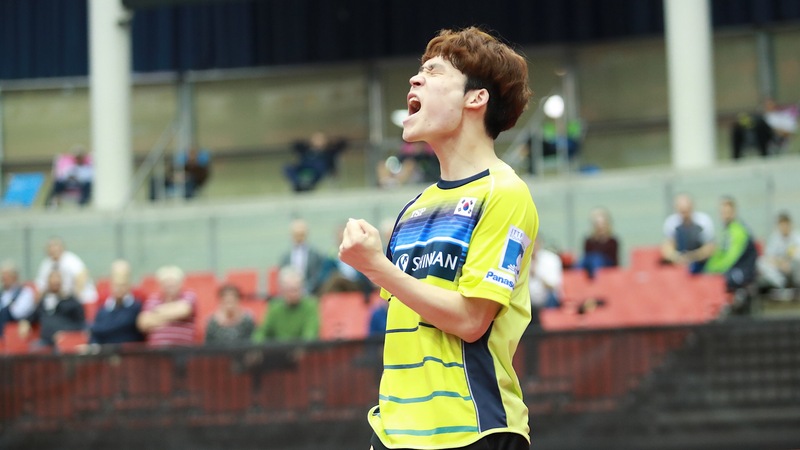 In part two of our Men’s Singles preview for the upcoming Seamaster 2018 ITTF World Tour Grand Finals, which officially gets underway in the Korean city of Incheon on Thursday 13th December, we cast our eyes to the competitors occupying positions 10 through to six on the seeding list. Victorious at the 2010 European Junior Championships Germany’s Patrick Franziska has evolved into one of Europe’s elite names in the sport, a fact he further backed up in September this year with his fantastic run to the semi-finals of the Liebherr 2018 European Championships in Alicante, Spain. Impressive at the third ITTF World Tour event of the year, Franziska knocked out three major names in Dimitrij Ovtcharov, Marcos Freitas and Kristian Karlsson on his way to a semi-finals spot in Bremen and also came away from the 2018 season with three quarter-finals finishes [Budapest, Olomouc and Geelong]. Franziska has also made a name for himself as a competent doubles player, having partnered Denmark’s Jonathan Groth to four Men’s Doubles gold medals on the World Tour and the 2016 European Championships title in 2016! Champion in 2010 and 2014, will trend continue in 2018 for Jun Mizutani? World Championship quarter-finalist on two occasions and a winner of eight Men’s Singles titles on the World Tour, Jun Mizutani is one of the finest players to have ever represented Japan on the international stage and heads to Incheon in search of a third Grand Finals trophy. Mizutani won the events in 2010 and 2014 – will the pattern of a title win every four years continue with a successful campaign in 2018? Restricted to the Round of 16 in Doha and Bremen, Mizutani showed steady progress mid-season with a quarter-finals finish in Shenzhen but it was the Korean Open that hosted his strongest outing on the 2018 World Tour: opening with a convincing win over Gao Ning, the 29-year-old Japanese star went on to eliminate Dimitrij Ovtcharov and Lee Sangsu on his way to a top four spot in Daejeon. 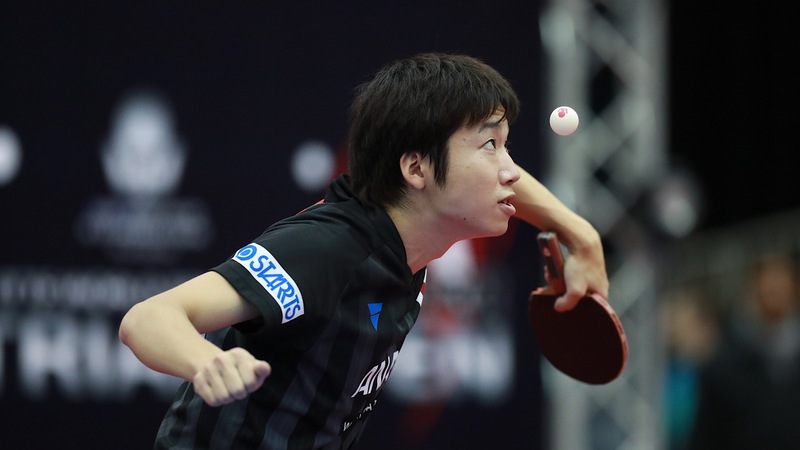 Following a magnificent display at Rio 2016, Mizutani became the first table tennis player from Japan to win a singles medal at the Olympic Games and boasts an impressive collection of nine Japanese National Championships Men’s Singles titles to his name! 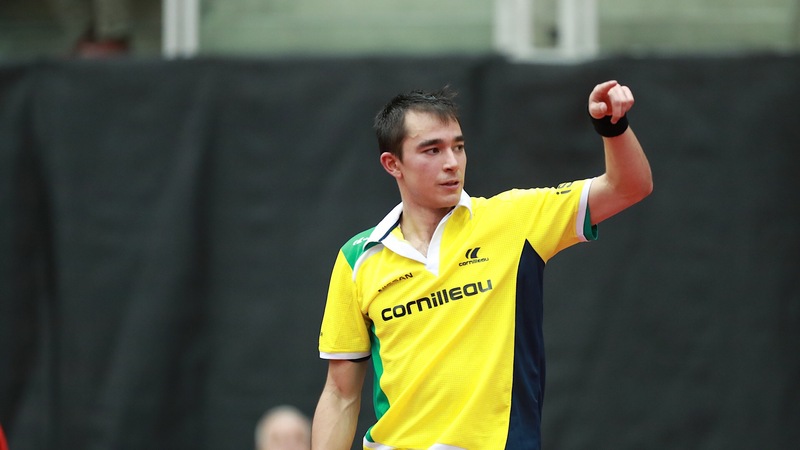 A shining light for table tennis on the Latin American continent, Brazil’s Hugo Calderano heads to Incheon off the back of one of his best seasons to date on the international circuit. The 22-year-old has won gold at the Latin American Championships, Latin American Cup, Pan American Championships and Pan American Cup along with helping his country to quarter-finals finishes at the 2018 Team World Cup and Liebherr 2018 World Team Championships. Kicking-off his 2018 campaign with a strong outing in Budapest, Calderano then pulled off a breathtaking performance in Doha achieving his personal best result of the year with a silver medal following impressive victories over Lin Jonghoon, Timo Boll, Tomokazu Harimoto and Lin Gaoyuan. Setting a new record in 2017 for a Latin American player with his ranking of no.17 at the time, Calderano achieved another record in July this year by becoming the first athlete from the continent to reach the World top 10 in the men’s game and now holds a personal best rank of sixth! The no.7 seed for the Men’s Singles draw is China’s Lin Gaoyuan, a player who could well be destined for greatness on his second World Tour Grand Finals outing. 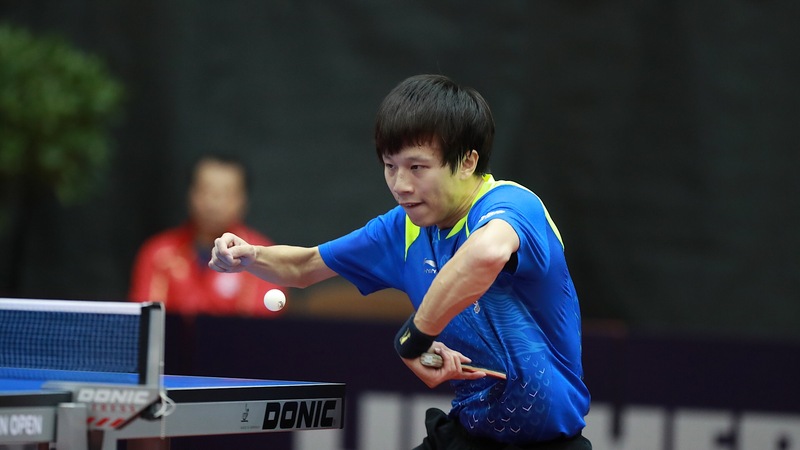 Crowned champion on his first Asian Cup appearance, Lin has since gone on to make the last four of the 2018 Men’s World Cup and was Men’s Singles runner-up at the 2018 Asian Games. Lin reached the penultimate stage of three Platinum events on the 2018 World Tour: Doha, Shenzhen and Daejeon, picking up standout victories against Fang Bo, Jun Mizutani and Hugo Calderano at the respective tournaments. Last year Lin Gaoyuan made his Grand Finals debut in Astana, Kazakhstan, ending 2017 on a high with a terrific semi-finals finish! Seeded sixth on his senior debut at the Grand Finals, Jang Woojin leads the way for Korea Republic in Incheon as the country’s highest seeded player on the entry list for the Men’s Singles draw. Jang’s progress in the last year alone is something to marvel at and is supported by his accent up the world rankings list, rising from no.33 at the start of 2018 to a career best 15th position in December. Claiming big scalps against Marcos Freitas, Wong Chun Ting and Lee Sangsu in Shenzhen, Stockholm and Linz respectively, however, it was on home soil where Jang really stole the show: with the backing of the Korean supporters in Daejeon, Jang accounted for Patrick Franziska, Xu Xin, Jeong Sangeun, Jun Mizutani and Liang Jingkun to lift his second Men’s Singles trophy on the World Tour. 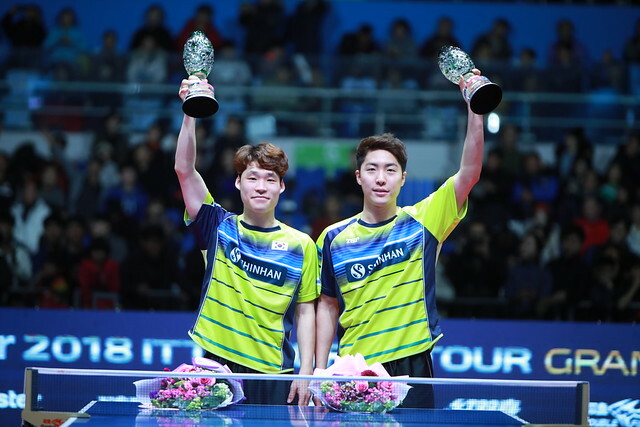 Jang made ITTF World Tour history in July by winning three gold medals in Daejeon [Men’s Singles, Men’s Doubles and Mixed Doubles], the most any player has won at a single event – his victory in the Mixed Doubles was the biggest headline maker as he combined with DPR Korea’s Cha Hyo Sim to become the first United Korean duo to reach the top step of the medals podium!